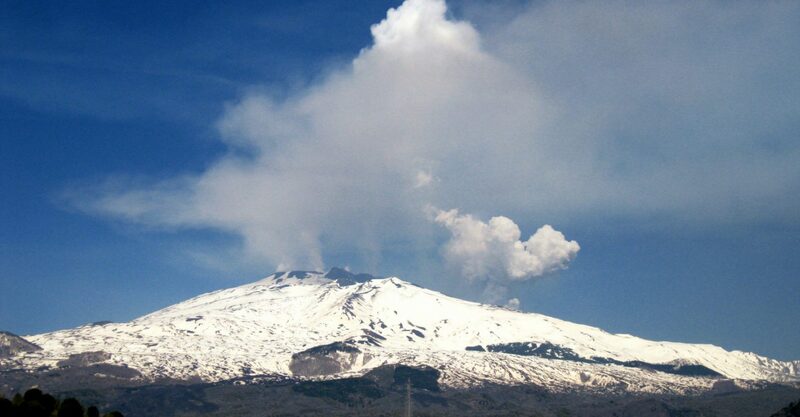 The most disastrous eruptions in the history of Mount Etna. Mount Etna is an active volcano, and steam and gases are constantly coming out of its craters, what can be easily noticed even from a great distance. It is not uncommon to see more spectacular eruptions, too. Some of them last several hours, others a few days or even several months. The lava from Etna is characterized by high viscosity and flows very slowly, so it does not pose a threat to inhabitants‘ life. However, this burning mass which temperature arrives at 1000 °C destroys everything that finds on its way. Let’s don’t forget about the pyroclastic material thrown out of the volcano with a powerful force. Huge volcanic bombs, lapilli (porous stones), ashes and volcanic dust often cause damage and are more dangerous than lava alone. In this text I will describe the eruptions, which were the most important in the history of Etna and the surrounding area. During this eruption, huge amounts of pyroclastic material covered Catania, provoking huge damage. 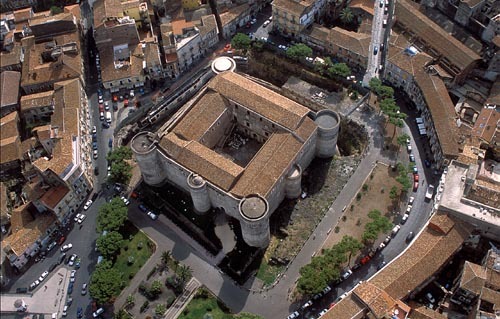 Catania, then under Roman rule, was exempt from paying taxes for 10 years. This fact allows us to imagine what a huge disaster this part of the island suffered. Eruption, during which a cone Monti Rossi was built north of Nicolosi at an altitude of 850 a.s.l. 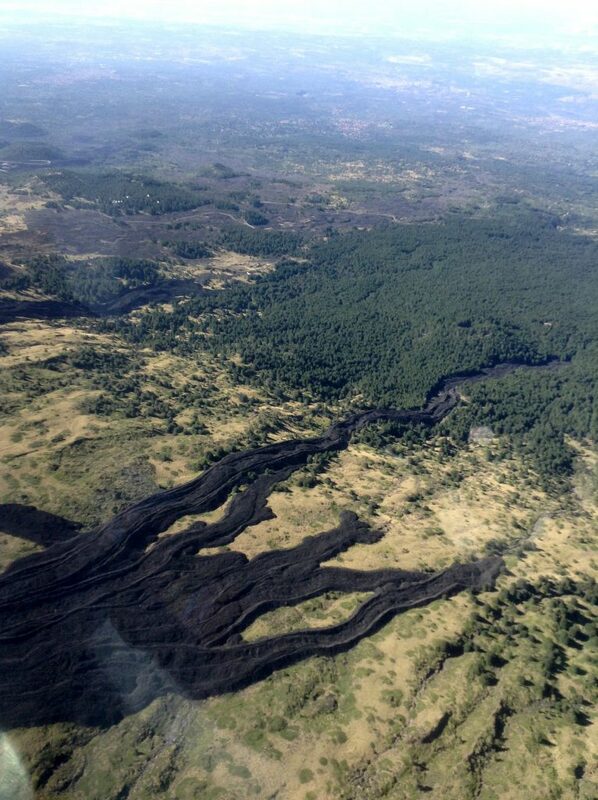 The eruption lasted for 122 days, the lava field covered an area of 40 square kilometers, and the river of spilling lava reached lenght of 15 kilometers. 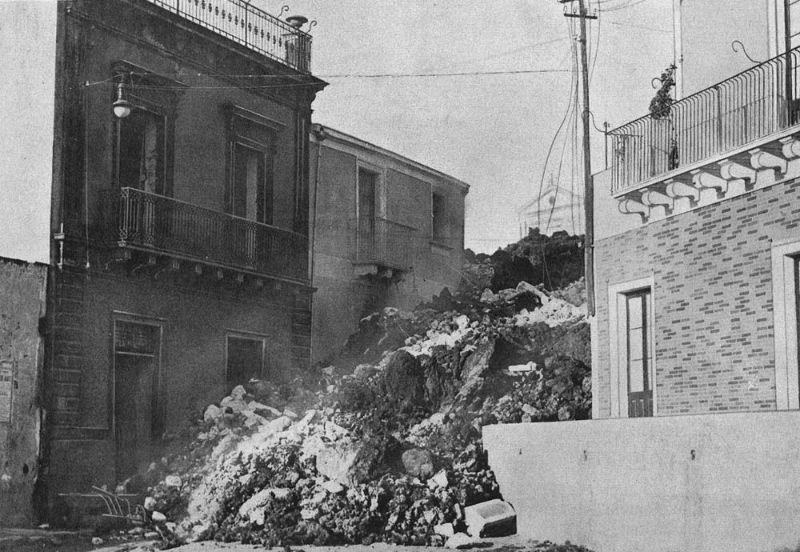 At that time, 15 villages and the entire eastern part of Catania were destroyed. 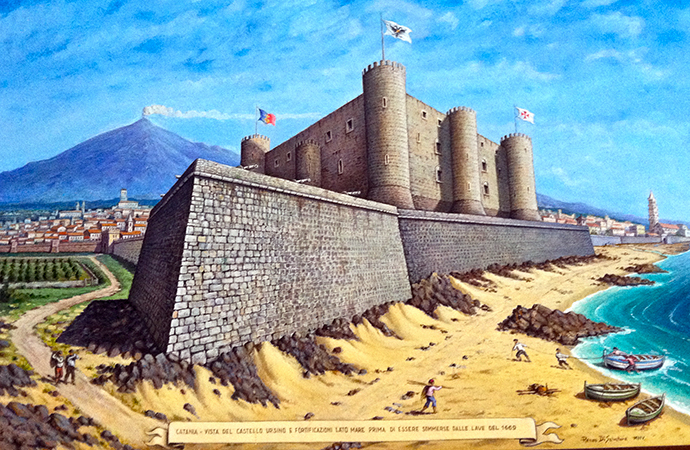 The sea shore has been moved by a kilometer, as evidenced by the fact that Castello Ursino, a medieval fortress built on the hill by the sea, is now located in the center of Catania. Monti Rossi and Nicolosi today. Castello Ursino before the eruption. 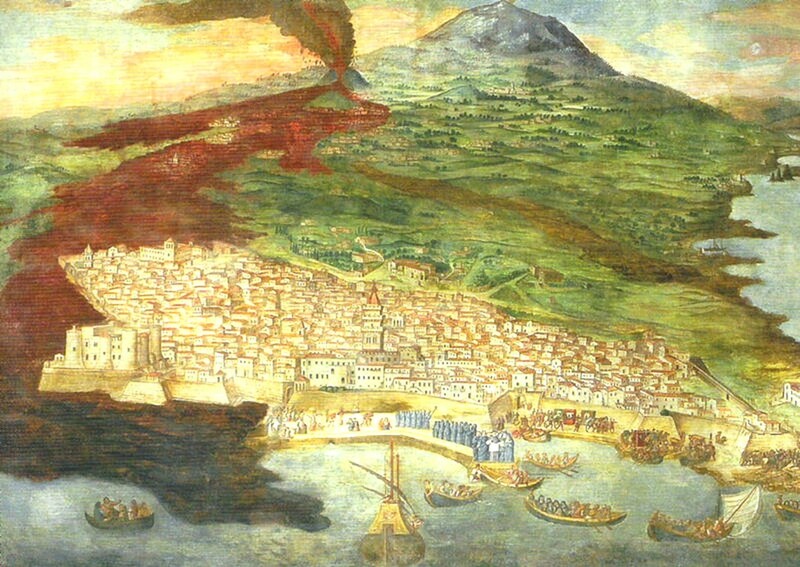 Painting by Giacinto Platania who witnessed the 1669 eruption. 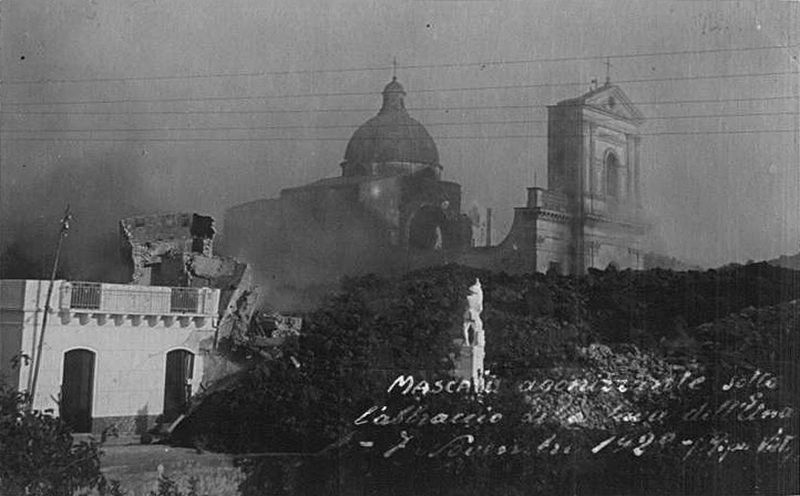 Eruption, during which the town of Mascali was completely destroyed. This is the first eruption documented by a film. Eventhough the eruption caused a massive damage, noone has been killed as a result of the disaster. This eruption would not be more exceptional than many others, if not for the fact that as a result of an unexpected outbreak of volcanic masses, 30 people were seriously injured and 9 lost their lives. 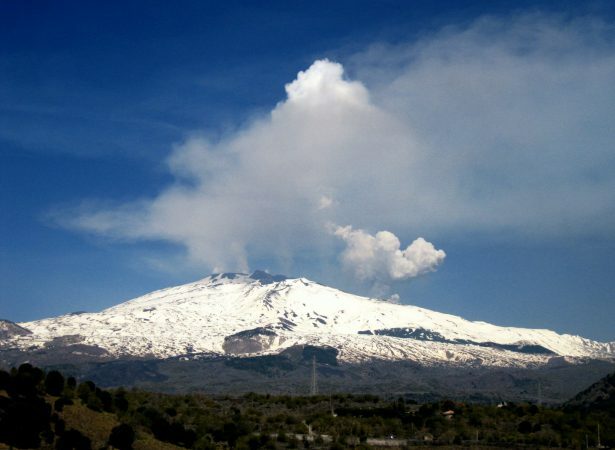 Unfortunately, the technology used on Etna, was not advanced enough to predict the explosion and, as a consequence, forbid approaching the danger zones. This eruption lasted 131 days. 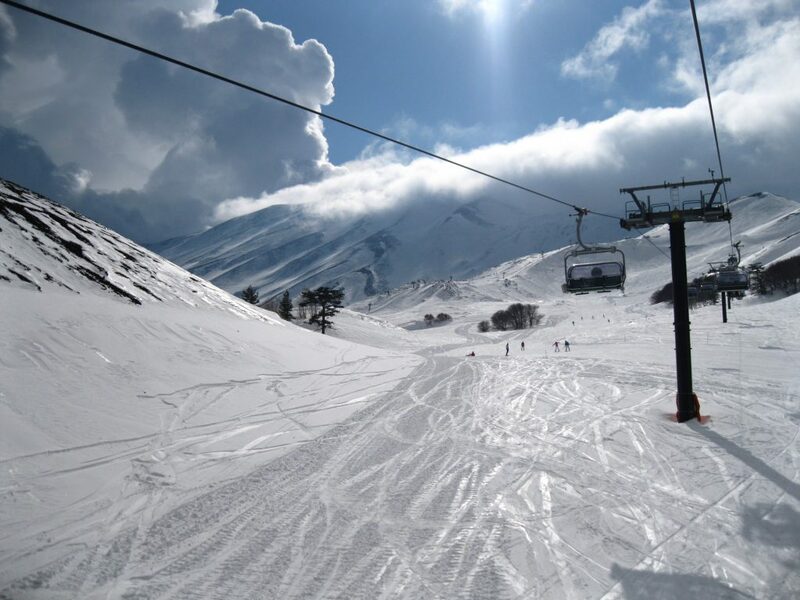 The ski lifts, the cable car, hostels and restaurants on the southern side of Etna were destroyed. 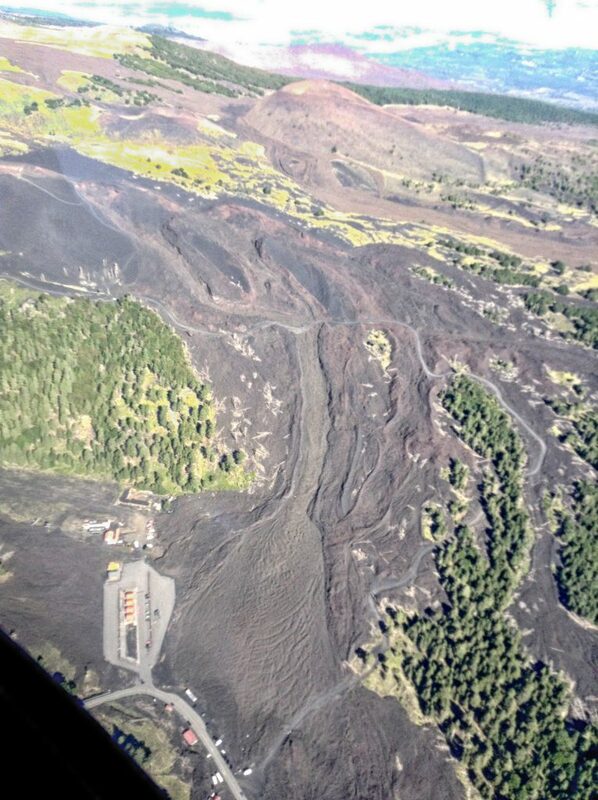 At that time, the first attempt was made to change the direction of the lava flow. It was the longest eruption of the 20th century, lasting 473 days. During this eruption, the lava reached almost the town of Zafferen Etnea. 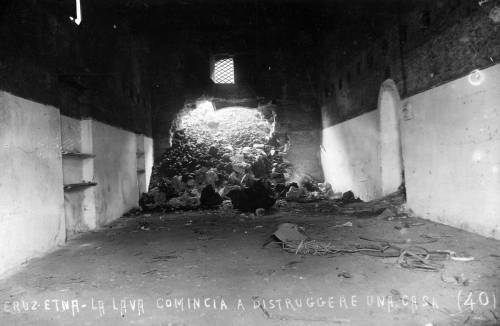 Desperate attempts were made to block the river of flowing lava using cement blocks and exploding dynamite bombs. NATO soldiers and planes from US base in Sigonella near Catania also took part in the action. The hero of this event has become Rosario di Carlo known today as Saro Ruspa (Saro Bulldozer) who, using his bulldozer and pushing the lava managed to construct a lava wall which blocked the flowing river of burning material. 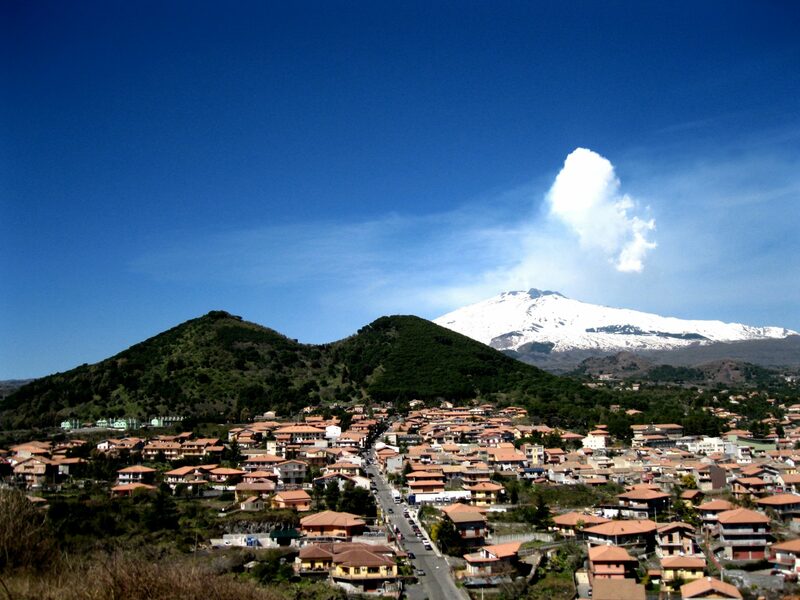 During this eruption, the tourist infrastructure on the north side of Etna – Piano Provenzana, was completely destroyed. Lava covered ski lifts, restaurants and hotels. Piano Provenzana has not been able to regain its splendor to this day. 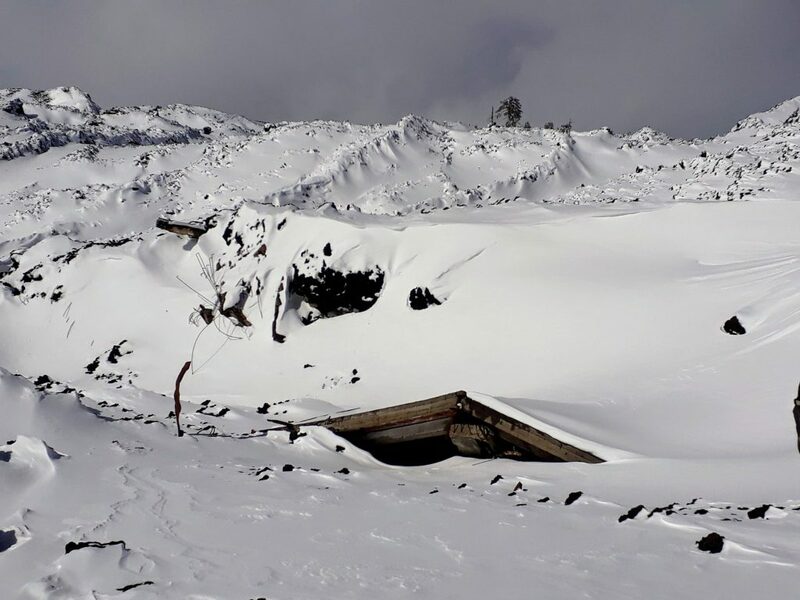 Mountain shelter covered with lava. Rebuilt ski lift on Piano Provenzana. Lava of 2002. In the left bottom corner you can see rebuilt structures. What I love the most about Sicily.